If you’ll be in Dallas at AUVSI XPONENTIAL May 8-11. 2017 and want to talk power and data, hit us up at sales@aimatlanta.com. Hope to see you there! 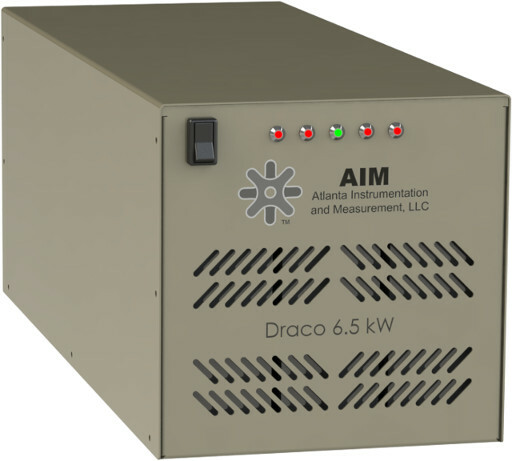 The DRACO-GND-6500 seamlessly integrates a 6.5 kW power supply and our Digital LYNX Ethernet over power technology into a single package. 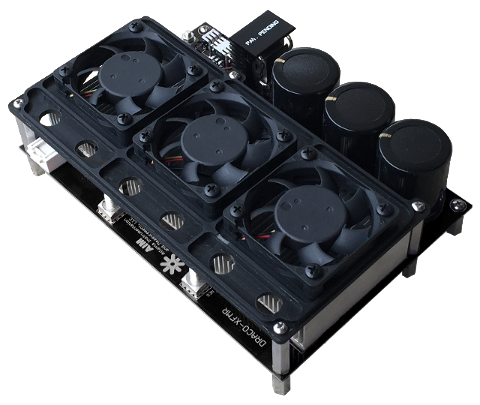 Multiple power supplies can be connected in parallel to support larger systems. For more information please drop us an email at sales@aimatlanta.com or give us a call at 404-800-5411. Fly more payload at a higher altitude with DRACO-XFMR a vehicle-side, high-voltage DC-to-DC converter for tethered platforms. Our DRACO technology allows designers to use longer and lighter tethers than would be possible with traditional converters. With an industry leading energy density of 6.9 Watts per gram, you can focus on your mission, not your power budget. 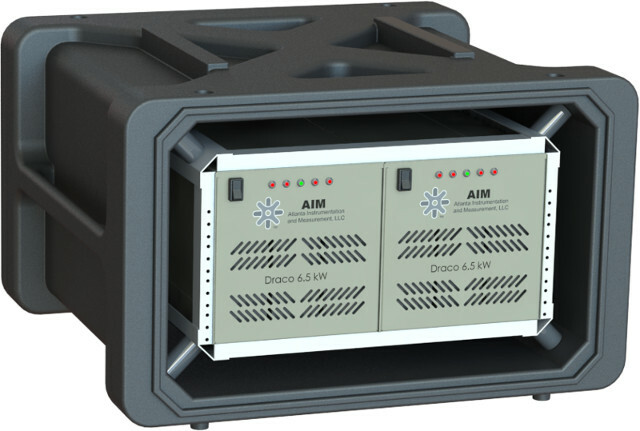 Multiple DRACO-XFMRs can be connected in parallel to provide scalable power for even the most demanding applications. Atlanta Instrumentation and Measurement, LLC will be attending AUVSI XPONENTIAL 2017 in May; send us a note if you’re attending and want to make time to meet up. We will bring a few of our products to showcase. Hope to see you there! 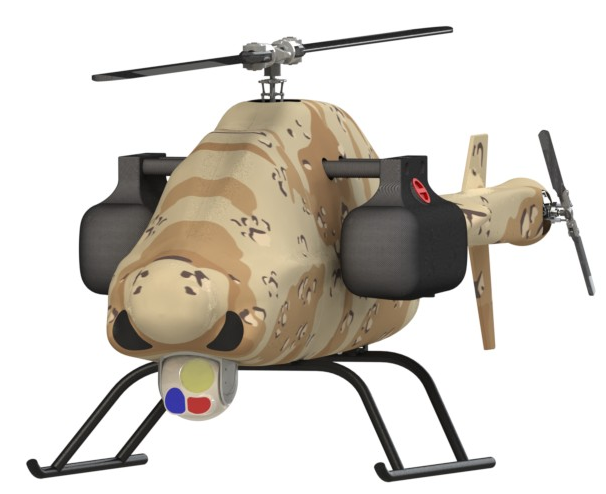 The SICX-75T was featured in Defense Global in an article titled “Tethered Drones for Persistent Aerial Surveillance Applications”. The article was written by Dr Stephen D Prior, Reader in Unmanned Air Vehicles. Dr Prior is faculty of Engineering and the Environment at the University of Southampton. Follow AIM Atlanta to receive updates on FAA drone policies, news, and happenings in the tethered drone and drone startup community! A simple PyUSBTMC-based interface for the Rigol DS1102E Oscilloscope. This module provides a simple to use python interface developed specifically for the Rigol DS1102E. The chief feature of this module is that it wraps the oscilloscope interface in a class, automatically identifies the oscilloscope upon instantiation, and simplifies calls made by PyUSBTMC to methods of that class. This module is based on PyUSB, and so in turn on libusb. Because of this foundation, this utility may be used on both Linux and Windows platforms with relative ease. On linux, the standard current branch of the libusb project may be used (e.g. install with, sudo apt-get install libusb-1.0-0.) On Windows, a 32-bit build of version 0.1 has been ported, allowing Windows users to make use of the utility offered by PyUSB. This project has been developed to support the automated interaction of the Rigol DS1102E and the Hantek 1025G DDS function generator, and as such (as of 20150419), not all interfaces ofered by the Rigol 1102 have been implemented in this module. While other Rigol Oscilloscope models are likely to be supported to varying degrees, such support has neither been designed or verified. This module was developed using Python 3.4. Embed AIM’s Digital LYNX technology into your next tethered UAS platform. LYNX is the secure alternative to fiber optic or wireless data links for tethered applications. 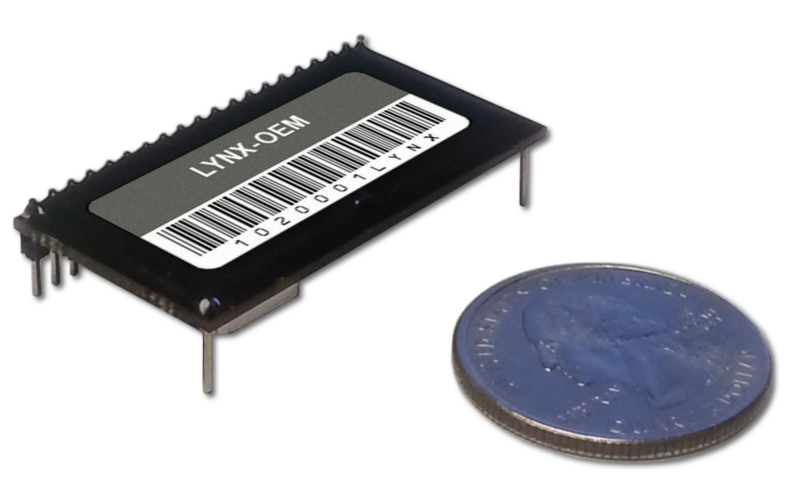 LYNX utilizes Orthogonal Frequency-Division Multiplexing (OFDM) technology to deliver a robust high bandwidth data link over copper. LYNX eliminates the expense and hassle associated with fragile fiber optic tethers. For more information on eval units please drop us an email at sales@aimatlanta.com or give us a call at 404-800-5411. Key AIM personnel will be attending AUVSI 2015. We won’t have a booth, but drop us a line and we will make time to meet up. Hope to see you there! Atlanta Instrumentation and Measurement and Guided Systems Technologies showed off their persistent surveillance capabilities with their electric and gas powered tethered VTOL systems and Lynx data over power solution at their table in the Innovator’s Corner at the 2015 meeting of the Association of the United States Army, at the Von Braun Center in Huntsville, Alabama. The traffic in our section was a little light, but it was good to be in the company of entrepreneurs working with other emerging technologies to bridge the gap from great ideas to requirements documents. Thanks to Protonex for an inspiring summary of the journey from beginning to end, and hats off to Renewable Coatings Soltuions, Bren-Tronics and ZeroBase for their clear presentations on compelling technologies. Thanks to everyone who stopped by to talk with us!